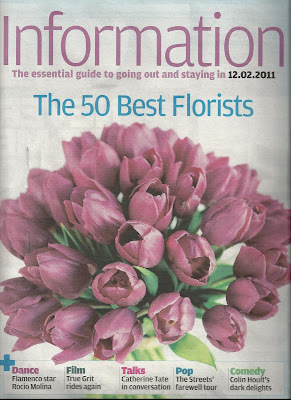 We are delighted to be included in The Independent's 50 Best UK Florists feature today. They said "For approachability and contemporary design, Mood Flowers is the answer. It caters for a diverse range of tastes, be they simple or the downright dramatic. Co-founders Nick Priestly and Vivienne Lee are so passionate about what they do they set up their own flower school to teach the art of flower design."